Like all good libertarians, I hate waiting in government-mandated lines. Heck, you don’t even have to be a curmudgeonly libertarian to have unpleasant thoughts about the Post Office or Department of Motor Vehicles (not to mention the virtual lines that exist for people stuck on hold after calling the IRS or some other inefficient bureaucracy). 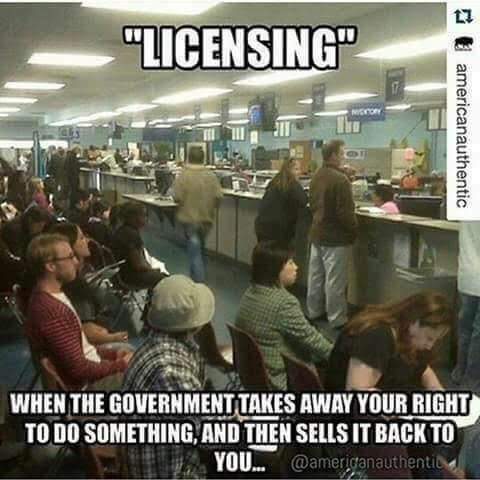 And it must be doubly irritating to wait in line to get bureaucratic approval for things that shouldn’t require any sort of government permission in the first place. 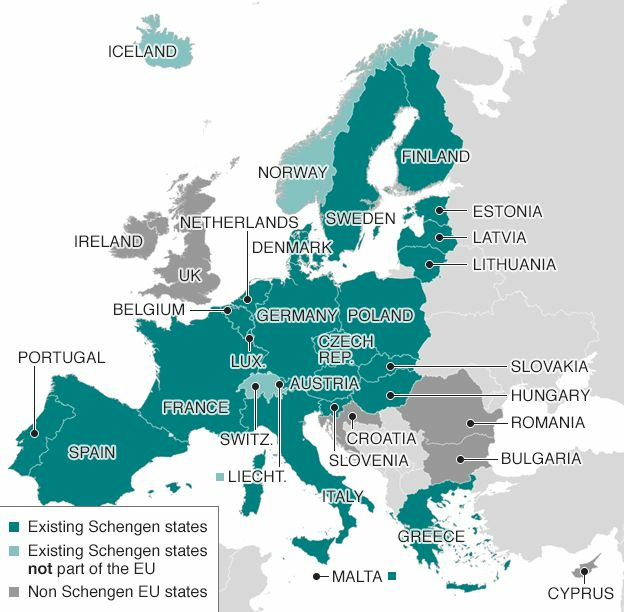 My aversion to government-mandated lines is so strong that I’m a big fan of the European Union’s “Schengen Zone” that has made crossing many European borders as simple as crossing from one American state to another (and regular readers know that I’m normally very reluctant to say anything nice about the policies concocted by the crowd in Brussels). Was he making a libertarian argument about the value of making it easier for people to travel and/or move? Let’s investigate. Here’s some of what was reported about Juncker’s comments in the U.K.-based Daily Mail. EU chief Jean-Claude Juncker risked widening divisions with European leaders today by saying borders were the ‘worst invention ever’. He called for all borders across Europe to be opened, despite the chaos caused over the last year from the flood in refugees fleeing Syria and the wave of terror attacks hitting various continent’s cities. …Mr Juncker also said a stronger EU was the best way of beating the rising trend of nationalism cross Europe. In another extraordinary remark, he appeared to warn of war on the continent if the EU disintegrates as he echoed the warning from the former French president Francois Mitterrand, who said nationalism added to nationalism would end in war. Writing for the American Enterprise Institute, Michael Barone offered a different perspective. He starts with the observation that Juncker’s home country of Luxembourg is rich because of borders. Juncker comes from Luxembourg, a 998-square mile country… If you look up Luxembourg in lists of world economic statistics, you’ll find it rated No. 2 in gross domestic product per capita. That’s thanks to what Juncker called politicians’ worst invention ever, borders. Luxembourg is a financial haven and headquarters of the world’s largest steel company, Arcelor Mittal. Without their borders and national laws, the 576,000 Luxembourgers wouldn’t be as affluent as they are. Barone is correct. Luxembourg is only a very successful tax haven because it has the right to have tax laws inside its borders that are attractive relative to the tax laws that exist in adjoining nations such as France and Germany. For those who care about foreign policy, Barone also pushes back at the notion the European Union somehow has prevented World War III. Juncker said, “We have to fight against nationalism, we have the duty not to follow populists but to block the avenue of populists.” Such is the faith of the Eurocrats: The EU exists to prevent another war between France and Germany. Never mind that the chance of such a war has been zero since 1945, 71 years ago. …Juncker was denouncing Austria and other nations for erecting border controls to keep out Muslim refugees. Evidently he believes that World War III will somehow break out if they are kept out. This is surely right. The people in Western Europe no longer have any interest in fighting each other. And to the extent any international organization deserves credit for that, it would be NATO (even if it no longer serves a purpose). Let’s now shift back to the role of borders and the size and power of government. If you want a really good libertarian-oriented explanation of why borders are valuable, let’s go back in time to 2004. Professor Andy Morriss wrote an article for The Freeman that explains borders are good for liberty because they limit the powers of governments. Borders come from property rights and are essential to a free society…are wonderful things. Lorain and Cuyahoga counties in Ohio must compete for my family’s residence. Choosing to live where we do is related to the taxes charged by the communities where we might have lived. The value of borders, Andy explains, is that they represent a territorial restriction on the power of government and people can cross those borders if they think governments are being too greedy and oppressive. Investors make similar choices. …Choosing bad policies produces an exodus; choosing good policies leads to immigration of both capital and people. …the competition offered on local taxation policy and other regulatory issues is important in restraining governments from infringing liberty. …National borders are also important sources of liberty. …without borders we would not have the competition among jurisdictions that restricts attempts to abridge liberty. …Jurisdictions…compete to attract people and capital. This competition motivates governments to act to preserve liberty. He cites the example of how Delaware became the leading jurisdiction for company formation (and also a very good tax haven for foreigners). …states compete for corporations, with Delaware the current market leader. Delaware corporate law offers companies the combination of a mostly voluntary set of default rules and an expert decision-making body (the Court of Chancery). As a result, many corporations, large and small, choose to incorporate in Delaware, making it their legal residence. (Their actual headquarters need not be physically located there.) Corporations get a body of liberty-enhancing rules; Delaware gets tax revenue and employment in the corporate services and legal fields. That state’s position is no accident. At the beginning of the twentieth century, New Jersey was the market leader in corporate law. When New Jersey’s legislature made ill-advised changes to its corporations statute that reduced shareholder value, Delaware seized the opportunity and offered essentially the older version of New Jersey’s law. Borders also are good, Andy explains, because they create natural experiments that allow us the compare the success of market-oriented jurisdictions with the failure of statist jurisdictions. Statists are correct that competition among jurisdictions will make clear the costs of the policies they promote. …The former divide between East and West Berlin is a fine example of the impact of cross-border comparisons. East Germans could see the difference in outcomes between the two societies, and East Germany had to resort to increasingly costly and desperate measures to prevent its citizens from voting against communism with their feet. …Competition between the two Germanys exposed the cost of East German policies. In an observation that could have been taken from today’s headlines, he also notes that uncompetitive governments try to prop up their inefficient welfare states by clamping down on pro-market policies in other nations. To prevent cross-border competition from exposing the costs of their favorite policies, …special interests attempt to forestall it. …High-tax, heavy-regulatory jurisdictions in the European Union are waging just such a fight now, arguing, for example, that Ireland’s low taxes are “unfair” competition. He’s exactly right. Which is precisely why it’s so important to block efforts to replace tax competition with tax harmonization. Andy’s conclusion hits the nail on the head. We may not like having to wait in lines and fill out forms to cross borders, but the alternative would be worse. Even though borders can be an excuse for reducing liberty, a world with lots of borders is nonetheless a far friendlier world for liberty than one with fewer borders. They promote competition for people and money, which tends to restrain the state from grabbing either. Borders offer chances to arbitrage regulatory restrictions, making them less effective. Without borders these constraints on the growth of the state would vanish. Before closing, let’s look at an example of how governments are forced to dismantle bad policy because of the the jurisdictional competition that only exists because of borders. It’s from an academic study written by Jayme Lemke, a scholar from the Mercatus Center. Here are some excerpts from the abstract. Married women in the early nineteenth century United States were not permitted to own property, enter into contracts without their husband’s permission, or stand in court as independent persons. This severely limited married women’s ability to engage in formal business ventures, collect rents, administer estates, and manage bequests through wills. By the dawn of the twentieth century, legal reform in nearly every state had removed these restrictions by extending formal legal and economic rights to married women. Why did states grant economic liberty and property rights to women? Was it because male legislators suddenly stopped being sexist? Maybe that played a role, but it turns out that people moved to states that eliminated these statist restrictions and that pressured other states to also reform. …what forces impelled legislators to undertake the costs of action? …interjurisdictional competition between states and territories in the nineteenth century was instrumental in motivating these reforms. Two conditions are necessary for interjurisdictional competition to function: (1) law-makers must hold a vested interest in attracting population to their jurisdictions, and (2) residents must be able to actively choose between the products of different jurisdictions. Using evidence from the passage of the Married Women’s Property Acts, I find that legal reforms were adopted first and in the greatest strength in those regions in which there was active interjurisdictional competition. The moral of the story is that competition between states improved the lives of women by forcing governments to expand economic liberty. And since even the New York Times has published columns showing that feminist-type government interventions actually hurt women, perhaps the real lesson (especially for our friends on the left) is that you help people by expanding freedom, not by expanding the burden of government. P.S. There is a wealth of scholarly evidence that the western world became rich because of borders and jurisdictional competition. Oh, I almost forgot, you are correct on this border issue. In the mid 90s John Naisbitt, in “Global Paradox” stated that the more we act globally, the more we will think locally/tribally. And he’s absolutely correct. We are on the leading edge of a movement against the ‘so called’ World Order, because humans want control over their own destiny, and the larger the entity, the less they have. The smaller the entity, the more efficient, and representative it becomes. We are headed back toward a different form of Tribalism, and if done correctly, this is not such a bad thing. This is why I am convinced that the EU is doomed, due to bureaucracy. And giant countries, such as Russia, China, and some others, are endangered species. And if we don’t get with the program, and begin moving our government back toward “The Lowest Common Functional Denominator”, the US may well experience the dreaded “S” word, in the future. They had better get with the program before its too late. Dan, I’m a Huge fan of yours, and have been for a long time, even before you started this site. Almost everything you state is right in line with my political-economic thinking. However, with that being stated, don’t you think it if well past time that you got with the program and began labeling yourself with your REAL political-economic thinking? Let’s face it sir: You Are A Liberal. That’s right, in the true meaning of the word, Liberalism is your calling, just as it is mine. I learned this fact over 18 years ago, and have been fighting to reclaim its good name ever since. And if you pay attention to things, I am certainly not alone either. The movement has been steadily picking up steam, and Finally, Progressives are being forced to abandon this G-d Awful Lie that FDR started in the 1932 election cycle. How much longer are we going to have to keep using that OTHER “Liber” alternative: libertarian? Keep in mind that todays official libertarians are a shade more anarchistic than I can tolerate. Classic Liberals have Structure, as well as the love of Individual Liberty. I tend to vote for the Libertarian presidential candidate, but will never join the Murray Rothbard/L.H.Rockwell crowd. I’ll stick with the von Hayek folks, thankyouvermuch. One does not have to have anarchy to accomplish “Spontaneous Order” for heaven’s sake. And he’s right. I’ll give you just one reason: Margaret Sanger, and Planned Parenthood. Sanger was a proud Progressive, and she advocated eugenics, especially concerning lesser races, such as Blacks. That’s why most of P.P clinics are either within Black neighborhoods, or next door. P.P. really needs to have the “E” word wrapped around their sorry necks,……….but because we refuse to go all out with the word “Progressive” and still accuse Liberalism as the enemy, there is no way we can ever hope to defeat Planned Parenthood. Do you see what I am talking about. You sir, are a Liberal. Be proud of it, because it is the single one most honorable calling. I am proud of calling myself a Liberal, and you should as well. Dammit, let’s get with the program, ok? I’m 71, and a combat veteran, and I respect those who are not afraid to stand up and take the arrows from all sides when it is the right thing to do. And you should be doing it too. Again, You sir are a Liberal, and you should be proud of it. I know I am. Get some testicular fortitude. Also: competing jurisdictions don’t require borders, it’s again merely a misinterpreted correlation. The entire premise on the value of borders as a check on government because of the inherent competition among jurisdiction fails if only because it assumes that people can move freely between jurisdiction when they do not like the policies of one. If people cannot move freely from oppressive states to free states then borders become prison walls, not incentives for jurisdictional competition. Just ask the people of East Germany when they were trapped under that oppressive regime or the people of North Korea now. No, the Western world became rich *despite* borders and *thanks* to jurisdictional competition. Really? How exactly does waiting in line to cross out a border limit the state’s power? If the lines were *shorter*, would there be *less* voting with one’s feet? And how exactly would there be jurisdictional competition with extreme and effective border controls (no one comes in, no one goes out)? Switzerland has no internal border controls, yet there is tax competition among the 26 states. Conversely, the Soviet Union had no tax competition yet had an internal passport system. If place A and place B have different laws, then people will try to move from one to the other. Border controls is the action of trying to prevent them from doing so, not the fact that they do. It’s not the cause but the consequence: a defensive measure by the state to *prevent* jurisdictional competition, not allow it. Causality/correlation confusion right there, it’s like saying that thieves make you wealthy because if you have nothing no one tries to steal from you.